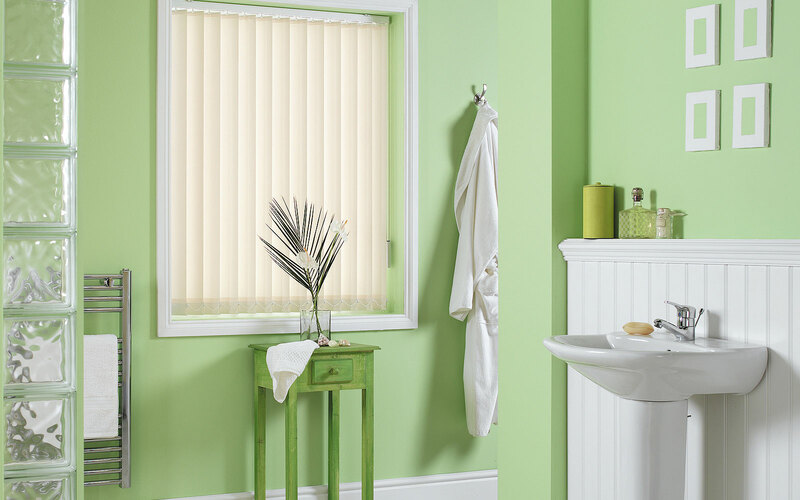 Vertical blinds are ideal for use anywhere in the home or office. They are also ideal for conservatories and patio doors and windows, offering a modern and cost effective alternative to curtains. All of our Vertical Blinds are fully made-to-measure and feature very high quality aluminium head rails finished in White and a choice of either top or face fix brackets. Controls comprise of a white chain louvre rotation and a weighted draw cord. You also have a choice of control side and either split or right or left draw. All this plus unlimited free samples a 12 month warranty and guaranteed lowest AUS Price, plus the widest color selection in the industry ensures a truly unbeatable package. Replace your curtains and give your space a fresh new look with the help of the line of window vertical blinds we offer you. They are the perfect combination between functionality and design as they come with great patterns and colours making it easier for you to integrate them into your home. You can have them custom made and decide on the way they are stacked. It is important for customers with children to know that blinds cords are dangerous for children as they pose the risk of children getting caught in them and get accidentally injured. While as standard vertical blinds are supplied with cords, a special cord release device can be integrated into the blind. Please note that while the device does not ensure 100% safety, it offers protection as, under certain pressure and weight, the cord is split. All Vertical Blinds are supplied with metal head box ,and come inclusive of brackets and screws all ready to install!